.Arusha Crown Hotel is a newly constructed modern hotel fitted with the latest amenities of international standard offering accommodation and conference facilities. Strategically located in the centre of Arusha city. Giving you all the comfort and convenience of being centrally located with easy access to Arusha's main business centres. - Stadium, Central Bus Stand, Fruits Market, Bank / Bureau De Change, Pharmacies, Taxi Stand, and Internet Café's are all within walking distance. This hotel seems to aspire to a kind of blank anonymous international chain-hotel feel, and it succeeds. This is fantastic in a country where most hotels I've stayed in for business (granted, at half the price or less) have some combination of cockroaches, sudden startling noise, holes in the mosquito net and weird posters featuring fruit or Jesus. 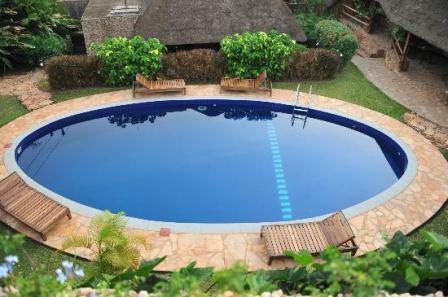 The Arusha Crown Hotel is dignified and tidy, clean, whole and well-functioning. My room (nr. 201) has everything you need and everything works. The restaurant features attentive staff but indifferent food and no booze. Nice Africafe-standard breakfast (you know it's real good when they give you a cafetiere): but they also provide cocoa so you can mix your own instant 'mocha'. The view is of Mount Meru to the right and, the only downside, the hangout of street kids on the steps of the Stadium in front. This makes you contemplate the vagaries of income distribution and is quite sad, but not a flaw of the hotel as such. The afternoon street markets are only a block away if you need any useful household goods, vegetables and fruit, tailoring services or second-hand clothes.